Home › Advice › Where are speed cameras? 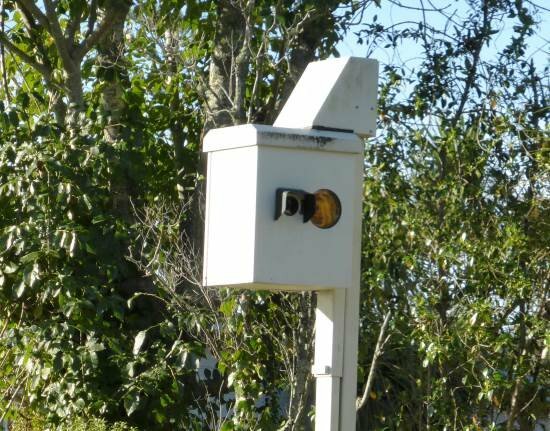 Until 2004 speed cameras had to be signposted, but since then police have operated an ‘anytime, anywhere’ policy on the placement of speed cameras. There is a mixture of static and mobile cameras. Static cameras are on poles. There are a limited number of cameras which are rotated around the different camera housings. More locations are added gradually and could be located on motorway gantries as well as on roadside poles. They won’t be signposted, but you are able to find out where they are (e.g. police publish lists, one of which is below, and there are other websites that show the locations). 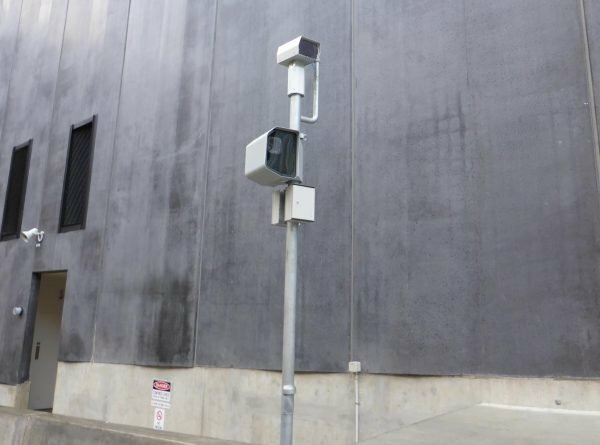 Unmarked cameras tend to be in plain vans parked on the side of the road and they will not be obvious. As you can see from the photo below, the road is curving gently to the left and the van is well off the road. This means you don’t see it until the last moment. This is a close-up of the van. The camera takes the photos through the rear window. 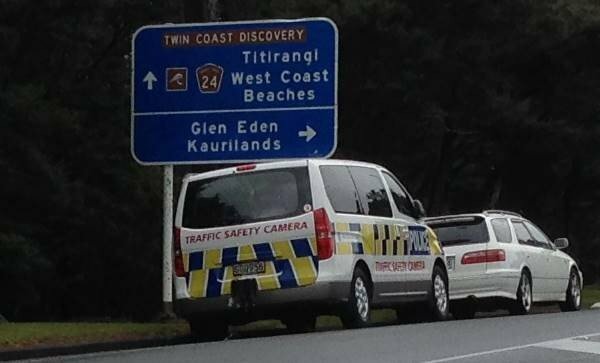 Speed cameras do not generate money directly for police. 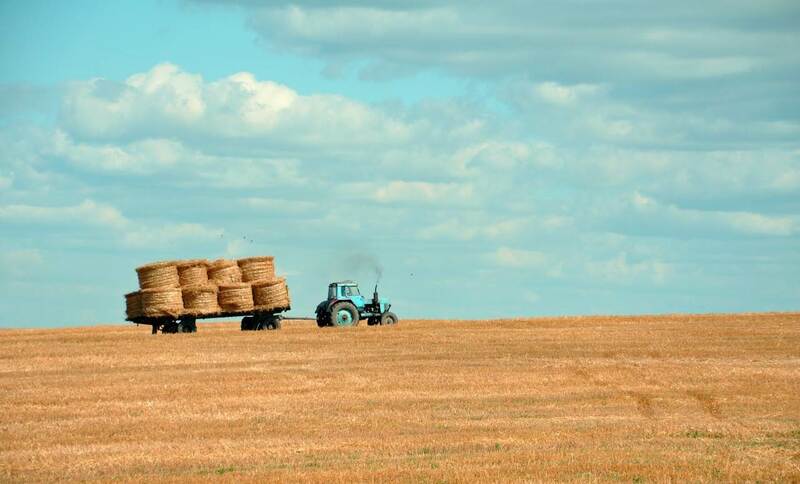 All revenue goes into the Government’s consolidated fund. 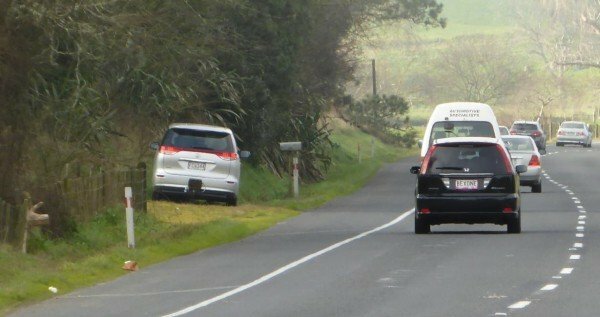 Mobile cameras in vans could be anywhere and police change the locations frequently to encourage drivers to slow down over the whole road network, not just at camera sites. 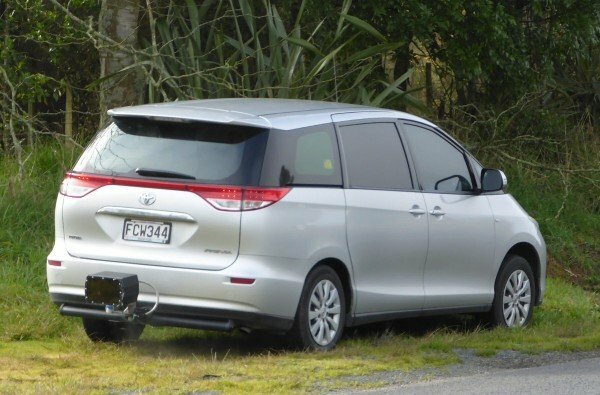 These newer cameras are able to detect the difference between light vehicles, light vehicles towing a trailer and heavy vehicles, so no longer is there a blanket speed limit like there was with older cameras. They can also detect which lane a speeding vehicle is in. Speed camera at the entrance to the Waterview Tunnel. There are warning signs before this camera, and there’s another one on the way out of the tunnel enforcing the 80km/h speed limit.